The Minister for Industry, Science and Technology, the Hon Karen Andrews MP, has named 60 Superstars of STEM following selection of some of Australia’s most inspiring scientists, technologists and educators. The women will smash gender stereotypes by being public examples of the diverse range of people working in science, technology, engineering and mathematics (STEM), and being role models to encourage girls to consider a career in STEM. The program is continuing until 2022 thanks to Government support, and Minister Andrews was present to name the new cohort of Superstars of STEM. Hundreds of applications were received, and the successful Superstars of STEM will now begin a year of training and support before they actively engage with their communities and the media in 2020. The women chosen to take part do exciting and varied work in science and technology, they include a researcher working to develop a “key-hole surgery” inspired approach to mining, a conservationist with a love of reptiles and a mission to train them not to eat cane toads, someone exploring the personality of volcanoes and how to predict their behaviour, and many others. The Superstars of STEM program is possible thanks to support from the Department of Industry, Innovation and Science; Engineering Sponsor GE Australia; STEM Sector Engagement Partner STEM Matters; and Supporting Partners the Australian Science Media Centre and the Conversation. Professor Novak manages the strategic development of research into the prevention and cure of cerebral palsy and supports the Australian Cerebral Palsy Register, which recently announced a decline in cerebral palsy (CP) across Australia over the last 10 years from around 1 in 500 children (2.0 per 1000 live births) to 1 in 700 children (1.4 per 1000 live births). My work is not something I do, it is who I am. 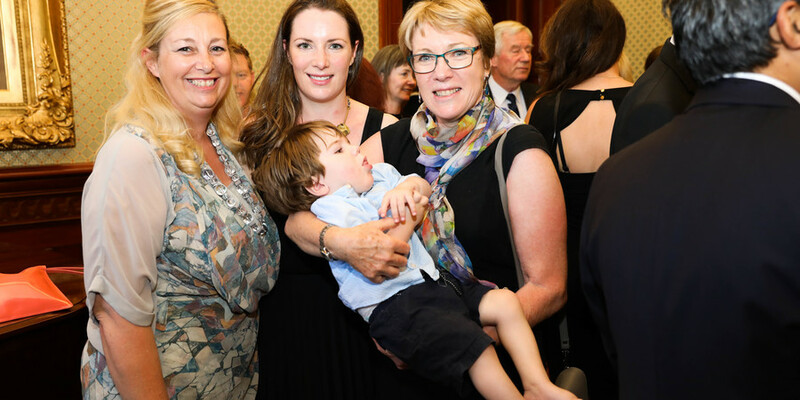 I am honoured to be part of the Superstars of STEM program to: engage, grow and catalyse the next generation of talented Australian women in STEM; communicate the cause of cerebral palsy research with influence; and tell science stories that resonate with the public, government and philanthropy. Our research shows that the incidence of cerebral palsy has fallen by 30%, from raising awareness and funding talented researchers. I know that giving a voice to people with cerebral palsy matters. Stay up to date on the latest news in research and thought leadership in CPA and the disability sector.